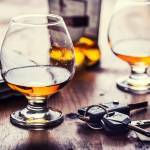 Will A Motion To Suppress Help Your California DUI Case? 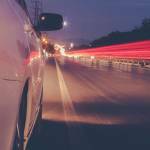 Can A Motion To Suppress Benefit Your Drunk Driving Case? 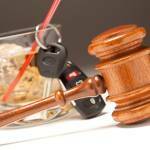 What legal strategies and tactics will a DUI defense lawyer use on a client’s behalf? Is there any way that a DUI charge can be entirely dropped or dismissed? 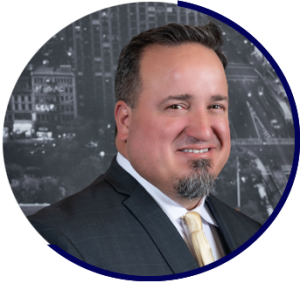 You’re going to learn what a motion to suppress is, how it may be used to help you contest a DUI charge, and you’ll also learn what other steps you must take if you are facing a DUI charge in the Los Angeles area or anywhere else in southern California. A “motion to suppress” is sometimes a lawyer’s first step on a DUI client’s behalf. It’s a written request asking a judge to keep certain evidence from being introduced at a trial. Evidence may be suppressed under particular conditions, and that suppression may mean a dismissal of the charge. When – and under what circumstances – can a motion to suppress be filed? And under what circumstances will it be granted by the court? The answers are below, but they need just a brief bit of explanation. WHEN WILL A DUI DEFENSE LAWYER FILE A MOTION TO SUPPRESS? If the police stop you in traffic without probable cause, or if they initiate a search without obtaining your consent and with no warrant or probable cause, a defense lawyer will typically file a motion to suppress the evidence discovered by the police in the illegal stop or search. To pull over a motorist in traffic – if DUI is suspected or for any other reason – a police officer must personally know or “reasonably” believe a criminal act has taken place, is taking place, or is going to take place. In other words, the police must have a “probable cause” to stop a motorist. HOW IS “PROBABLE CAUSE” DEFINED? Probable cause cannot be a mere “hunch” or a “feeling.” In traffic, probable cause is usually established when a law enforcement officer sees a driver who is violating the state’s Vehicle Code. For example, if the police see you run a stop sign, probable cause is established because they saw you break the law. However, if the police see you exit a drinking establishment and get behind the wheel of your car, they do not have probable cause, despite what they may think or suspect. A guess, a thought, or a suspicion cannot establish probable cause. The police must have a tangible reason to stop you in traffic. If you’re accused of DUI, but the officer who stopped you did not have probable cause, a DUI attorney can usually ascertain that no probable cause existed. A motion to suppress will keep out of court any evidence that was discovered without a probable cause, and if the prosecution has nothing else against you, the driving under the influence charge will in all likelihood be dismissed. FOR WHAT OTHER REASONS MAY A MOTION TO SUPPRESS BE FILED? However, a lack of probable cause is not the only reason why a motion to suppress might be filed by an attorney in a DUI case. Even if the police have probable cause to detain someone who is suspected of DUI, there must be considerable evidence of impairment in order to make an arrest. Unless the police had sufficient evidence to make an arrest, any evidence that they subsequently discovered may be challenged with a motion to suppress. In California DUI cases, the actions of the police during a traffic stop, questioning, and an arrest procedure must be scrutinized. If the police lacked evidence and probable cause at any point in the process, the law demands a suppression of whatever evidence may have been discovered at a subsequent stage of the process. WHAT HAPPENS IF THE POLICE VIOLATE YOUR MIRANDA RIGHTS? Anyone who’s seen crime movies and TV shows has heard of “Miranda” rights. Your Miranda rights are your right to remain silent and your right to have your lawyer present at any interrogation by the police. If the police violate your Miranda rights, a motion to suppress will keep out of court anything you said to the police that might be twisted and used against you. The problem in too many DUI cases is that defendants voluntarily offered information before they were taken into custody. Information that is provided voluntarily will not be suppressed in a DUI case, and the police are not required to read Miranda rights to a DUI suspect before they take that suspect into custody. WHY IS YOUR RIGHT TO REMAIN SILENT SO IMPORTANT IN DUI CASES? The most powerful evidence against a defendant in too many DUI cases is that defendant’s own words. If you’re stopped in traffic for suspicion of DUI, you should politely decline to answer questions. Do not lie – just refuse to answer. 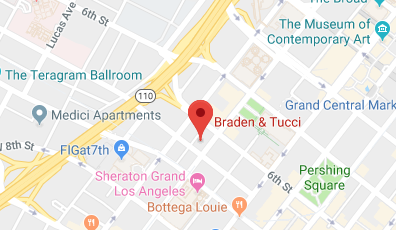 Contacting an experienced Los Angeles DUI defense lawyer must be your first priority if you’re accused of DUI in L.A. County. Good DUI attorneys in this state routinely file motions to suppress that lead to a DUI charge being reduced or entirely dismissed. WHAT ELSE WILL A DRUNK DRIVING LAW FIRM DO ON YOUR BEHALF? A DUI lawyer will investigate the charge and will file a motion to suppress evidence that the police may have discovered illegally. Your lawyer will explain your rights, fight aggressively for justice on your behalf, and resolve your case in the best way possible. You’ve already heard the best advice about DUI – Don’t Drink and Drive. But if you make a bad judgment call – or if you are wrongly accused of intoxicated driving – a good lawyer’s assistance is your right, and a motion to suppress is a legal tool that can help. Of course, if you’ve been charged with DUI, or if you are arrested for DUI in the future, you are the one who must start the process, exercise your rights, and contact an attorney at once. Your future will hinge on the outcome of your DUI case, so do not wait to get the help you will need. 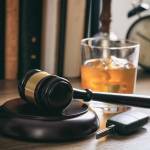 What Happens In The Drunk Driving Court Process? Should I Enter A Guilty Plea For Drunk Driving?